Hit the road with your soap in our new canvas travel bag. 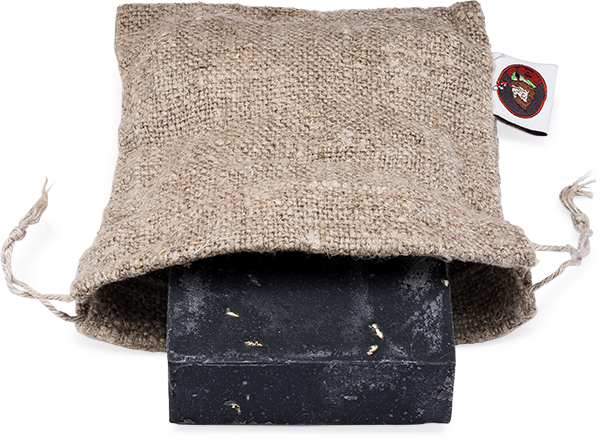 This heavy-weight washed burlap linen bag easily fits within your dop kit and is super-absorbent to dry out the soap in between destinations. It's time to say good-bye to hotel soap. The bags are approximaely 4" x 4" in size and dry out your soap between use.